“We are delighted but unsurprised by today’s judgement. “A huge amount of work has already been undertaken, and we are making excellent progress towards creating the two new councils. Christchurch Borough councillors and their officers have always been welcome at the various meetings that have taken place, working to form the two new councils. “We respect the choice of Christchurch Borough Council to challenge the Secretary of State’s decision, through a judicial review on a procedural point of law. In doing so, we note that the validity of the case for creating two new councils was not the basis for this judicial review challenge. “Christchurch Borough Council has spent a very significant amount of council tax payers’ money in pursuing this legal action. The High Court has rejected that challenge and we hope that all Christchurch Borough Councillors will now accept that judgement, and fully take part in planning for and making decisions about the new council. Legislation now passed in both Houses of Parliament means that Dorset residents will be served by two brand new unitary councils from April 2019 – Bournemouth Christchurch and Poole Council, and Dorset Council. The county’s nine current councils will cease to exist on 31st March 2019. These set out the duties of the Shadow Authority, including what must legally be achieved during the ‘shadow period’ – from the passing of statute to 1st April 2019 when the two new councils come into being. The parliamentary process to dissolve Dorset’s existing nine councils and create two brand new unitary authorities got underway, on time, today. (Thursday 29th March 2018). Known as a Structural Change Order (SCO), the legal document that will eventually be approved through both Houses of Parliament has now been officially submitted by the Department for Housing, Communities and Local Government. “My Rt Hon. Friend, the Secretary of State for Housing, Communities and Local Government (Sajid Javid) has today made the following Written Ministerial Statement. “On 7 November I told the House that I was minded to implement, subject to Parliamentary approval, the locally-led proposal I had received for improving local government in Dorset, and I invited representations before I took my final decision. “Having carefully considered all the representations I have received and all the relevant information available to me, I am today announcing that I have decided to implement, subject to Parliamentary approval, that locally-led proposal to replace the existing nine councils across Dorset – two small unitary councils of Bournemouth and Poole and the two tier structure of Dorset County Council and the district councils of Christchurch, East Dorset, North Dorset, Purbeck, West Dorset, and Weymouth & Portland by two new councils. “These new councils are a single unitary council for the areas of Bournemouth, Poole, and that part of the county of Dorset currently comprising the Borough of Christchurch, and a single unitary council for the rest of the current county area. Leader of Bournemouth Borough Council, Cllr John Beesley: “I am extremely pleased that the Secretary of State has acknowledged the strength of the case we collectively made for a new structure of local government in Dorset, and approved the plans submitted to him. One council serving the established urban area of Bournemouth, Christchurch and Poole will help to protect essential frontline services, will serve all residents far better than the structures we have today, and will be able to positively & strongly represent the area at a national and strategic level, for the benefit of residents and businesses. In an historic moment for public services in Dorset, the government has given the green light to plans to create two new unitary councils in Dorset. Local Government Minister, Sajid Javid, announced today that he will progress his initial ‘minded to’ decision to create two new unitary authorities in the county, replacing the existing nine councils. Each authority will deliver all local government services in their respective areas. One will cover Bournemouth, Christchurch and Poole, and the other will serve the rest of the county. Subject to legislation, the new councils will come into existence in April 2019. This change will help protect local services, generate further economic growth, reduce costs, and provide more efficient, brand new councils structured around communities. The Rt Hon Sajid Javid has responded to the Leader of Bournemouth Council in a letter dated 16 January 2018, regarding representations concerning Future Dorset proposals. 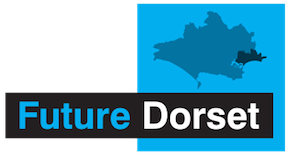 All six councils behind the Future Dorset proposal have now made representations to the Secretary of State, reconfirming their support for the proposal, setting out again the strength of the case made and the invalidity of any alternatives, and urging the Secretary of State to make a final decision to approve implementation as soon as possible.